How many of us actually have meals at a table anymore? It seems to be a lost tradition. It’s not just a meal that is had at a table; it’s conversation, it’s listening, it’s sharing, it’s knowing, it’s loving. I spent many years pulling up a bench to a farm table. When I was a little girl, my great grandmother Mimi hosted family meals every Sunday afternoon. I don’t know how she did it. She prepared a meal for at least a dozen people weekly, including dessert. I recall many days sitting on the ice cream maker. And then there was her fried chicken. Mimi was a wonderful cook. Meals at a table have always been meaningful to me. I chose to purchase a farm style table about eight years ago, with the purpose of sharing food around it with people I love. Many have blessed me by their company over the years. I used to have my Granny and Mom over every month to test new recipes. Holidays are especially meaningful around this table. I cherish the conversations that have been shared around this table and all the laughs I’ve had. Because of this table, I have entertained some of my best friends, hosting an annual Christmas brunch. I’ve tried my hand at some daunting recipes that I thought I’d never master, yet succeeded. Best of all, I’ve shared special times and grown relationships because of this table. 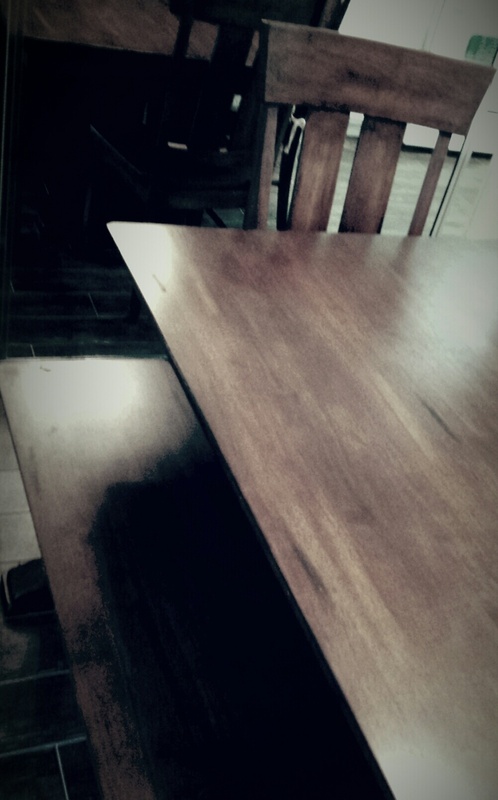 From daily coffees and my quiet time with God, first dinners, a birthday party, and a stake holders fundraiser; to Thanksgiving, Christmas, and Good Friday meals, and last suppers, this table is where it all happened. It still happens. While my mom no longer lives close enough to be at the table, I’m making a commitment to start inviting friends over monthly; to get to know each other, share stories, to know and to love.